Nice Ranch home! This cozy Ranch home has been totally renovated and has more than doubled in size! Features include very bright and sunny rooms with a big country kitchen, dining area, extra large great room with lots of windows and a wood stove for those cold winter nights, an office/den, 3 bedrooms, 3 full baths and a big basement with a 2 car garage. 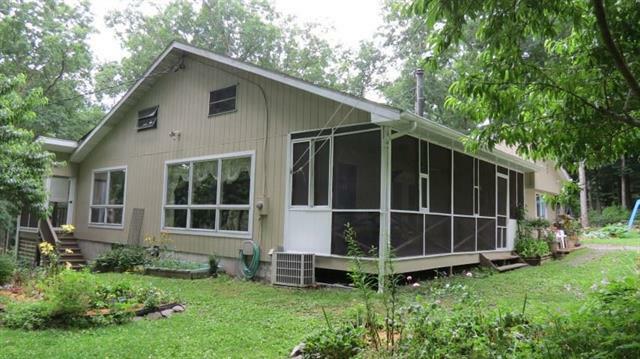 Enjoy the peace and tranquility from the enclosed front or rear screened in porch. There is also a large shed for storage. The grounds have been lovingly maintained with many perennials and some fruit trees. Truly a one of a kind property. Come take a look today!